This beautiful table adds unique design to your home. Sitting on tall, metal tube legs, the table features a plank top and middle shelf made with poplar veneers. 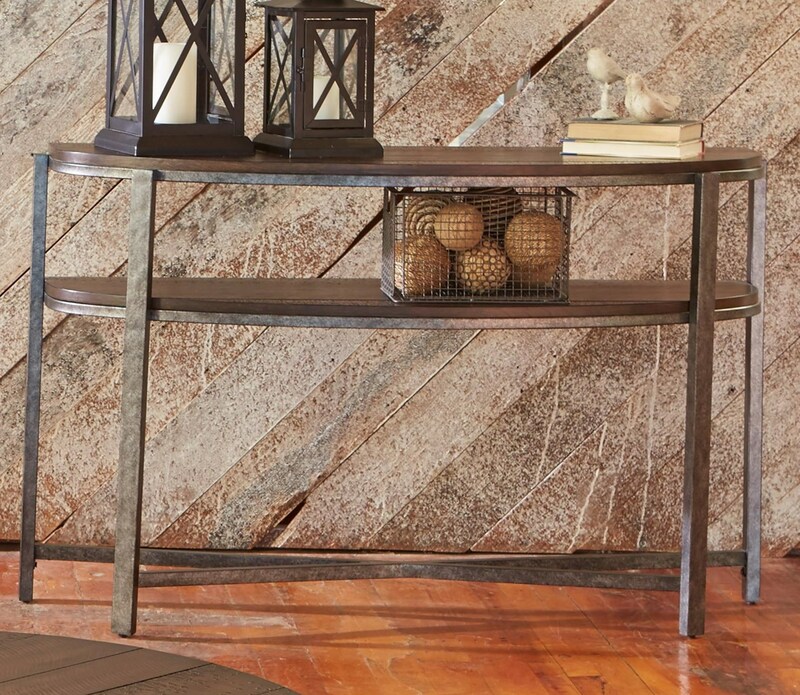 Perfect for your entryway, hallway or living room space, this sofa table adds accommodating storage and rustic design to your home. The Breckinridge Demilune Sofa Table with Shelf by Liberty Furniture at Prime Brothers Furniture in the Bay City, Saginaw, Midland, Michigan area. Product availability may vary. Contact us for the most current availability on this product.